Build towards a decent number of endorsers and implementation plans in the following years. Think of ways to convince your favourite place to sign up. Actually get them to sign up. 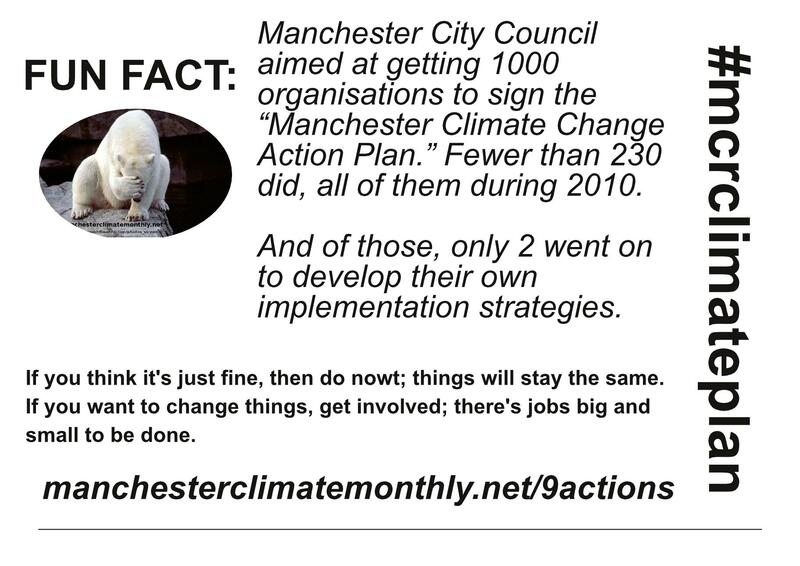 Create a plan about how the Council can do this! They will NOT do it themselves!! One new endorser every working day until then the end of the year. Implementation Plans – bwahaha. That would be one a week between now and the end of the year. I detect a certain amount of “cookie cutter”-ness. Presumably some work on a template was done back in 2010. Could this not be dusted off? “Climate Change? That’s so 2009.” Answer – yes, and it’s going to be so 2015, and 16, and every year following until the species falls off a cliff.